Perceptions of our environment and the spaces we occupy are powerfully influenced by the senses. 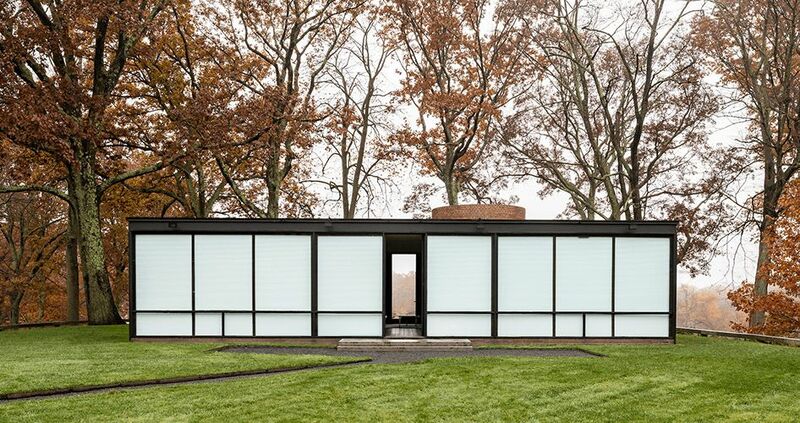 To celebrate the launch of the new Duette® LightLock™ system, Hunter Douglas collaborated with architect Philip Johnson’s iconic Glass House on November 7, 2018, to create a transformative experience of the home environment—one that is even a bit magical. In a house that’s all about light, LightLock™ created a calm, cool sanctuary of complete and total darkness. Take a behind-the-scenes tour of the Hunter Douglas + The Glass House event, which drew top editors and influencers eager to watch LightLock™ shades outsmart the sun. 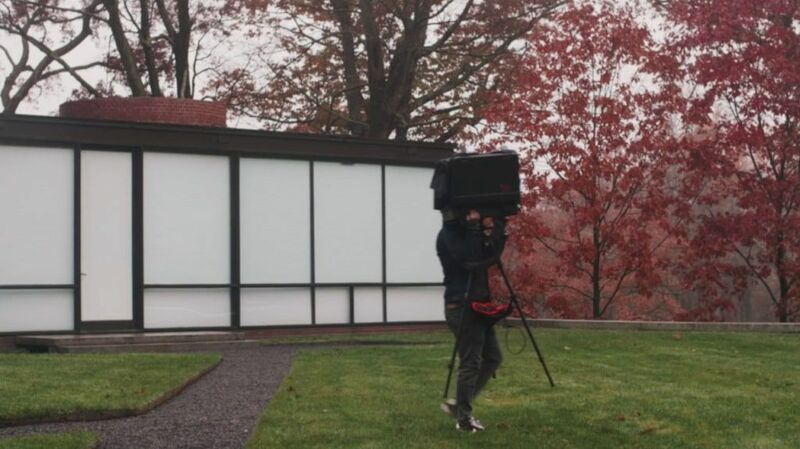 Tucked away from the road on verdant grounds in New Canaan, Connecticut, The Glass House is a transparent pavilion through which light streams from dawn until dusk. It was built in 1949 as Johnson’s own residence, later added to the U.S. National Register of Historic Places in 1997. Life in The Glass House was conceived to be full of the beauty of its surrounding environs, with the charming landscape visible from every angle as though seamlessly weaving in and out of the home. 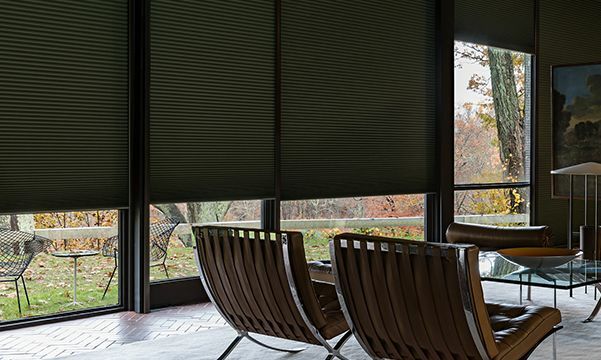 Duette® Honeycomb Shades are made with top-quality materials crafted to soften sound as well as keep homes warm in the winter and cool in the summer. The fabrics are gorgeous, opaque and light blocking, but when the shades are in a fully raised position, maximum light still shines through. Installed inside The Glass House, Duette Honeycomb Shades were an elegant complement, perfectly demonstrating how this new blackout technology could totally transform a space designed to let light flood the rooms. The beauty of night is not darkness alone — ambient natural light from sources near and far creates an ethereal mood felt from within The Glass House as the sun dips below the horizon. Yet when the time comes for slumber, there is a desire for light’s absence. Hunter Douglas LightLock™ technology features cutting-edge, light-blocking channels. The result? 100% total darkness. The experience? Deep, blissful sleep. All the variety, all the charm, all the beauty of life is made up of light and shadow. Duette Honeycomb Shades are the original cellular shades, specifically engineered to provide beauty and energy efficiency at the window in both cold and warm climates. The LightLock™ system is the only one of its kind to deliver on the promise of blocking 100% of incoming light via interlocking side channels. In December 2004, Cyndi Roberts founded Blinded by Delight Window Coverings & Design as a shop at home service. 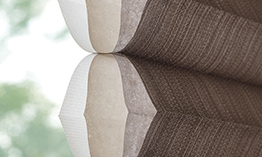 Due to the tremendous response and growing clientele, we officially opened our Hunter Douglas gallery in 2013. The primary goal at Blinded by Delight is to educate our clients on the various options. There are many products and vendors with all different price points. The finished product is our client’s choice based on what is most important to them: be it price point, versatility, or uniqueness for their home. Whether you are looking to spruce up your living space, update your home decor with contemporary window treatments or simply modernize your blinds and shades we have excellent specialists that will assist you in finding the best selection for the vision you have in mind for your custom window coverings. Schedule an appointment today. It’s free, there’s no obligation. Come to our gallery to see all the options on display. Our Hunter Douglas Showroom is one of the best in the region! We ask that you bring your basic measurements of the custom window coverings you are interested in installing, as well as photographs when possible. Once you are ready, we will schedule an in-home appointment where we will take detailed measurements in order to finalize your project. Simply click on Schedule An Appointment or call 210-336-5266. Our hours are Monday through Friday, 9:00am to 5:00pm, and Saturday, 10:00am to 4:00pm. 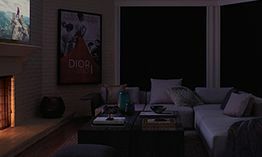 How Do I Combine Window Shades with Drapes?